A lot of people try to conquer the mind but they all ultimately end up being conquered by the mind. Beautiful adjustment keys given by Param Pujya Dada Bhagwan, will be helpful to reader to deal with the mind. After attaining Knowledge of Self, one is separated from his/her mind-body-speech. Now whether good thoughts come or bad, one has to just be the 'Knower & Seer' of it. But, how can we put this theoretical understanding into practical use? This edition of Dadavani will guide the reader with respect to the same. Knowledge of Self & 5 Agnas given by Param Pujya Dada Bhagwan can help one deal with the mind in any situation, at any point of time. 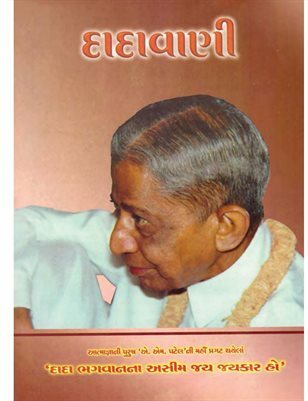 This edition of Dadavani also throws light on how to keep the mind separate, how to talk with the mind, how to keep spiritual awareness when mind is under depression, how to divert the mind into service for salvation of the world, etc., which will enable the reader to experience freedom from the mind.